Chanterelles Mushroom Tart - What about the food? It was the usual run to Costco, list in hand and menus planned as I entered the cold case. Greens, yes. Broccoli, check. And so it went as the items found my way into the cart. An employee recently told me that the box giant had over 4,000 different items circulating through the warehouse and many times you need to keep your eyes open for seasonal surprises. 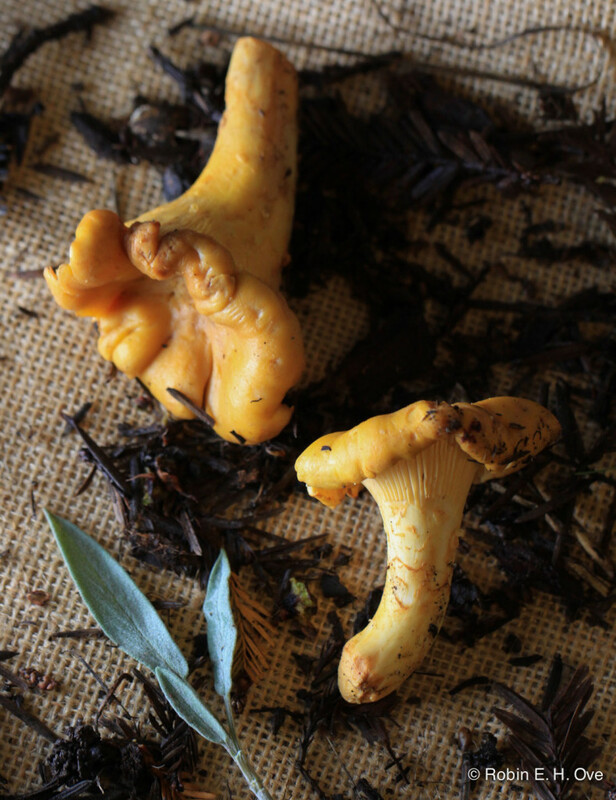 No one was more surprised than I to see the tender, orange fleshed chanterelles between the button and cremini mushrooms, and while the price per pound was comparable to that for beautiful steak I could not pass them up. Impulsive, yes. Worth it, you bet. Seizing opportunity as it presents itself is key for the adventurous cook. Try something new, splurge on something you’ve only heard about. While I was riding home, the simplicity of flavors; rich, buttery, and perhaps a hint of sage came to mind. I didn’t want to mask any of the mushroom’s presence for my very first taste. 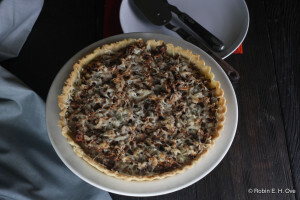 A simple chanterelles mushroom tart and a lovely bite. Thin crunch olive oil pastry crust topped with buttery sage infused chanterelle mushrooms. Gently clean your fresh mushrooms of all debris using a damp paper towel or cloth, if they are dirty, gently rinse and use a clean paintbrush to remove particles. Set on clean paper towel and allow to dry for an hour or more before cooking. 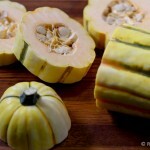 Slice/chop into medium sized pieces, about ¾”, they will shrink during cooking and you will want enough to chew on. 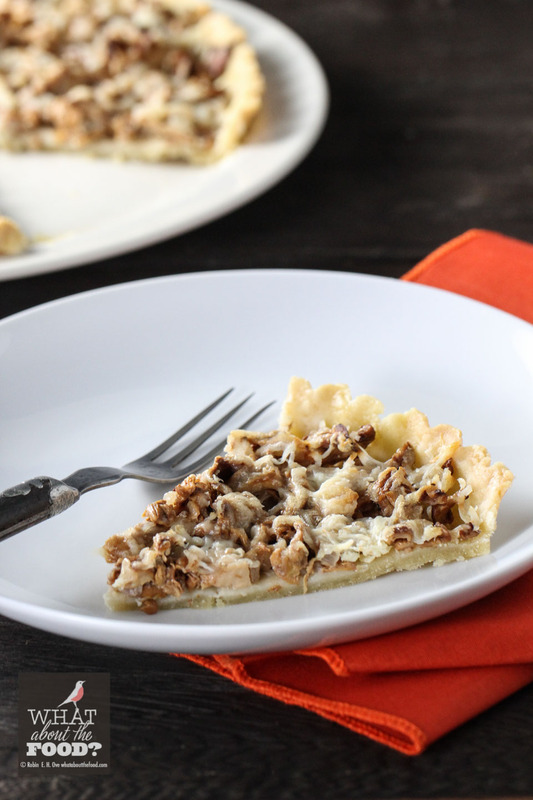 Set aside while you make your tart crust. 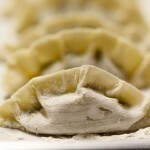 Gently press dough into the tin and crimp the edges. Cover with parchment paper then add pie weights, preparing to blind bake the tart crust at 425℉ about 12 minutes. Remove from oven and let cool while you prepare your mushrooms. Heat olive oil and butter in a 12” skillet over medium heat. Add shallots and cook until slightly soft, then add whole clean sage leaves, cooking for about 4 minutes to slightly brown the butter and infuse with the herb flavors. Add wine and cook a couple of minutes more before adding cleaned mushroom pieces. 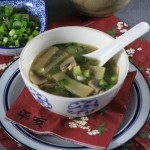 Continue cooking until mushrooms are soft and liquids have reduced by a third, lower heat and stir in sour cream. Stir to mix thoroughly. Remove from heat. Drain excess liquid from mushroom mixture and reserve (may be as much as ⅓-½ cup). 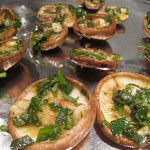 Remove sage leaves and spread mushrooms over prepared tart shell. Sprinkle the grated cheese evenly over the mushrooms. Bake on the middle rack of the oven at 425℉ for 20-25 minutes until crust is golden and cheese melted. Remove from oven and cool for 10-15 minutes before serving. While tart is baking create a sauce to drizzle over your tart by heating the reserved liquid and adding a bit more cheese and sour cream (a tablespoon each will do it) warm until thickened -- do not bring to a boil, but gently simmer. Cut tart into small wedges and drizzle with sauce and sprinkle with fresh chopped chives. Recipe note: I used a local cheese from Garden Variety Cheese that I purchased at our local farmer’s market. It is called Hollyhock and is aged eight months to produce a nutty buttery cheese with a bit of tang. It went well with the other tart ingredients. 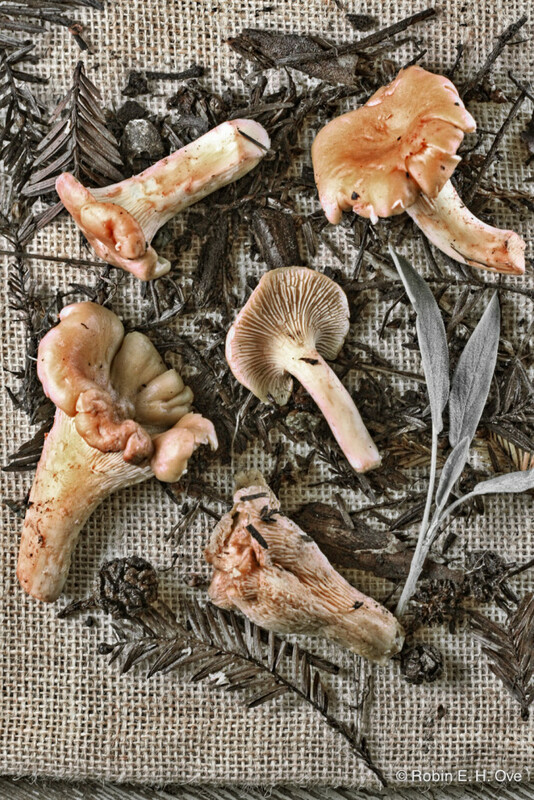 If you are close by, The Fungus Federation of Santa Cruz will be hosting their 41st Annual Fungus Fair, and I can’t wait to taste and learn more about mushrooms. I am highly impressed by your mushroom chart. thanks for sharing such informative topics with us. waiting for your responds.